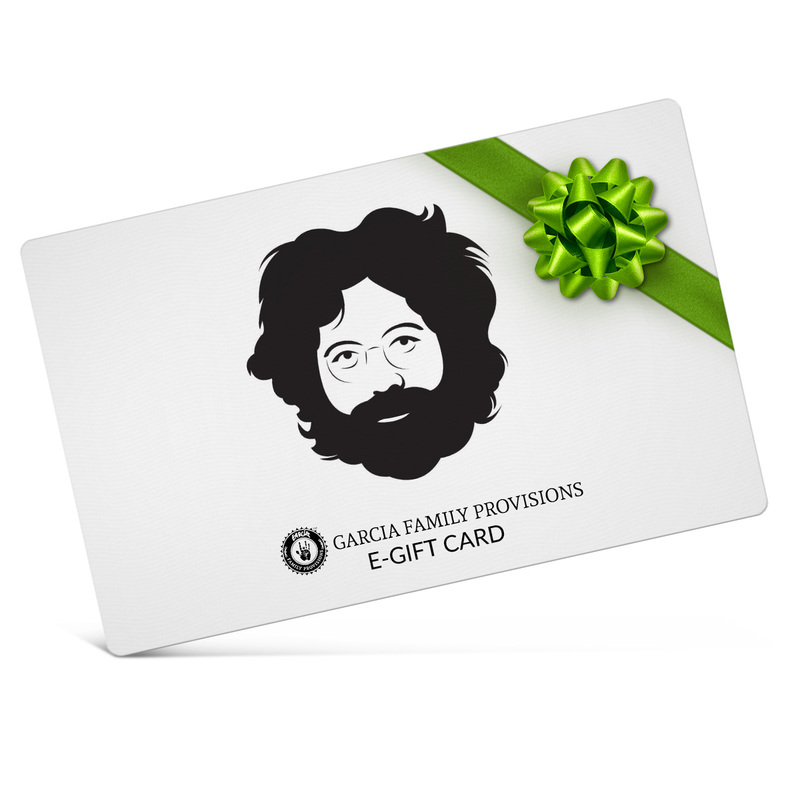 Give a great gift with a Jerry Garcia Store Gift Certificate. Select the denomination you'd like to give below, and an eGift Card will be sent via email to you or a friend. You can choose to have the gift certificate sent immediately, or for a date in the future (a birthday, for example). To make a purchase using the certificate, visit The Official Jerry Garcia Store, add the items you'd like to purchase to your shopping cart, and enter the code provided in the email as payment. The recipient will receive a customized email which will inform them of the gift and provide their account number and instructions. You will be able to set a delivery date for the gift email during the check-out process. This certificate will work at The Garcia Family Provisions Store and any related pre-order.